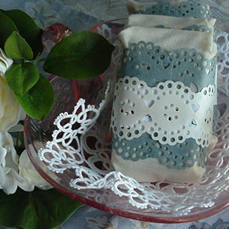 Make sure you are sitting down when you smell this soap, it will make you swoon! Heady, sweet, rich, and irresistible! Even avowed "Musk Haters" love this fragrance! A great scent for men's products, it lends itself to unisex applications. Men and women alike have expressed just how much they love this fragrance. A must have scent! If you like something different, unlike anything you've tried before, you will love this blend.